Indian cities are home to millions of vehicles, contributing to traffic congestion, air pollution and inadequate parking infrastructure and operations. There is a need to address challenges like inadequate capacity of public transportation, road safety, poor traffic management, parking issues, poor infrastructure and lack of modal options (including pedestrian walkways). 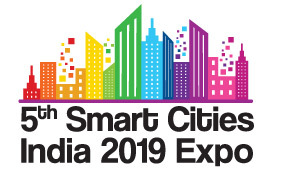 Transport India 2019 expo will address and showcase end-to-end future solutions for smart transport in the country. 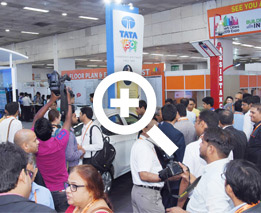 The Government of India (GoI) envisages to make India an auto manufacturing hub. Initiatives like ‘Make in India’, ‘Automotive Mission Plan 2026’, and National Electric Mobility Mission Plan (NEMMP) 2020 are expected to give a boost to the automobile sector. GoI launched The Faster Adoption and Manufacturing of (Hybrid &) Electric Vehicles (FAME India) in 2015 as part of the National Electric Mobility Mission Plan (NEMMP) 2020. It has recently announced extension of Phase I of the FAME-India scheme entailing incentives for mass adoption of electric and strong hybrid vehicles till September 30, 2018 or till its second phase is approved, whichever is earlier. The government intends to promote alternative fuels like bio-ethanol, coal or biomass-based methanol for vehicles. The outlook for connected / autonomous vehicles is promising, comprising different communication technologies to communicate with the driver, other cars on the road (vehicle-to-vehicle [V2V]), roadside infrastructure (vehicle-to-infrastructure [V2I]), and the “Cloud” [V2C] etc. Technology will be used to improve vehicle safety, vehicle efficiency and commute times. The government plans a push in the battery manufacturing sector. It has been estimated that this can deliver a US$300 billion market for domestic battery manufacturers by 2030. The Battery industry is on the cusp of a power revolution with big technology companies investing in the next generation of battery development and energy storage. For a sustainable future, the public transport network needs to be efficient, cost effective, reliable and safe. Bus / Bus Rapid Transit System: The Indian bus industry is growing @ 6-8 percent every year, adding 50,000 buses per annum. BRTS is an attractive urban transit alternative as cities seek low-cost, sustainable and high capacity mass transport solutions. BRT Stations have seating, lighting, shelter, latest technologies, etc. Rail / Metro Rail / Bullet Train: In India, there are many new metro projects, dedicated freight corridors and high speed rail projects are planned. Foreign Direct Investment (FDI) in railways is permitted to improve infrastructure for freight and high-speed trains. Several domestic and foreign companies are looking to invest in Indian rail projects. Hyperloop: The Indian government is mulling using new models of transportation like hyperloops to reduce logistical bottlenecks and high costs faced by trade and boost exports. Personal rapid transit (PRT), also referred to as podcars; is an advanced public transport using automated electric pod cars to provide a taxi-like demand responsive feeder and shuttle services for small groups of travellers and is a green mode of uninterrupted journey. Plans are underway to launch common smart card for commuters who travel by public transport to provide seamless travel between different modes of transport. Traffic Management and Information Control Centres (TMICCs) have become an integral part of traffic management activities globally. In India, a few cities have established traffic control rooms networked with field equipment (such as traffic signals, CCTV cameras) for traffic monitoring and management activities with varying levels of ITS deployments and traffic signals coverage. The Integrated Command & Control Centre projects which enable fast and efficient citizen service delivery in an integrated way, are being developed in 20 cities and are already operational in cities like Bhopal, Pune, Surat and Vadodara producing positive results. There is a need for multilevel parking complexes in city centres that have several high-rise commercial complexes and these can come up through public-private partnerships with the integration of smart parking metres. Various technological options have come up such as real-time parking management systems, which provide information on available parking lots, automated parking systems and stack parking systems. Intelligent Transportation Systems (ITS) help in reducing urban traffic congestion, improving the situation around parking of vehicles in cities, improving road safety, and improving the security of passenger and goods traffic. Indian road network transports more than 60 per cent of all goods in the country and 85 per cent of India’s total passenger traffic. The National Highways Authority of India (NHAI) plan to build 50,000 km of roads worth US$ 250 billion by 2022 will open the doors for better road construction, safety & security systems, ITS & tolling systems and efficient road side facilities for highway travel. The government has identified 600 railway stations for modernisation and upgradation to world-class standards at an estimated cost of Rs 1,000 billion. In Phase I, Indian Railways are redeveloping around 100 stations on their own under the engineering, procurement and construction (EPC) mode, by involving public sector units such as the National Building Construction Corporation; while the remaining are to redeveloped through PPP. India is estimated to see an investment of US $25 billion in the next decade in the airports sector, and traffic growth of 13 per cent.